Mouse Control: Mice, A Menace in the House. AllPest Exterminating, Inc. Mouse Control: Mice, A Menace in the House. AllPest Exterminating, Inc.
Mice can be adorable looking little creatures to some people and horrid little rodents to others. No matter what they look like to you, they are a menace in the house. When just a few get in, it doesn’t take long for them to become a major infestation. They breed faster than rabbits. Mouse control is a necessity. 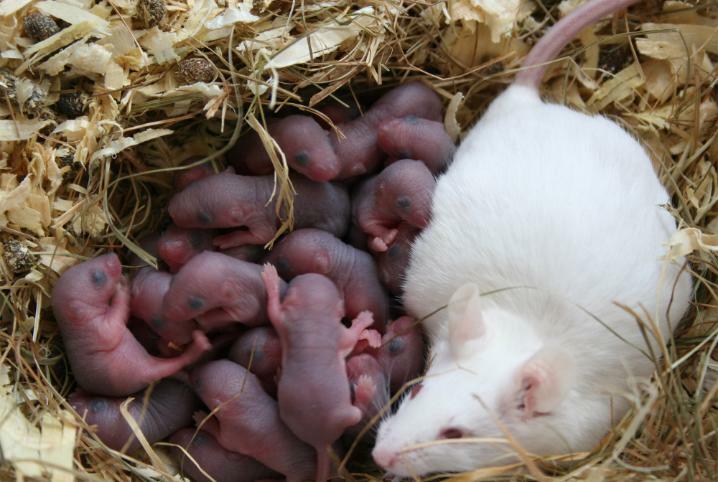 mouse control is important when you see how they breed. Even though they may look kind of cute, they get into everything and chew everything that isn’t metal, stone or glass. Anything semi soft will be chewed and shredded to make nests. Mice can get into containers you think are mouse proof and eat any food they contain. About the only food in your house that is safe from them is in your refrigerator and freezer. Electric cords are not safe from mice. They will chew right down to the bare wires and might even chew through the wire. Drawers and cupboards become part of their network of trails and hiding places. The smell they create is foul. Sometimes, when you have a major mouse infestation, some furniture can’t be saved simply because of the smell that has penetrated the wood. The destruction to your home and furnishings is just the beginning. Mice carry many kinds of diseases and what they don’t carry themselves may hitchhike into your home in the fleas and ticks that might be on the mice. Mice are just not healthy to have around. They are more than just pests, they are a health hazard. Mice are not easy to get rid of. It would be if they were not so smart. Yes, they are pretty smart. You set traps but they know to avoid them. Sometimes you catch one but after that, they know better and don’t go near them or if they do, know how to get the bait without getting caught. They even know to not walk onto glue traps. If you have pets or small children, setting out poison bait may not be an option. Mice are social animals so if you see one, you know there has to be more of them. More will come, too, you can count on it. It is best not to wait until there are so many that you see them everywhere. Your best bet to get rid of these pests is to call in the professionals at the first sign that you have such a menace in your house. The professionals at All Pest Exterminating Inc. can rid your home of mice safely and quickly. Call All Pest Exterminating, Inc. and rest easy knowing those little menaces will soon be gone.